La Différence Cosmetics™ was founded by a group of individuals from different parts of the world who noticed they were all using different lines of cosmetics, but they all had the same goal and ambition: to firm and tighten their skin to achieve a younger appearance. 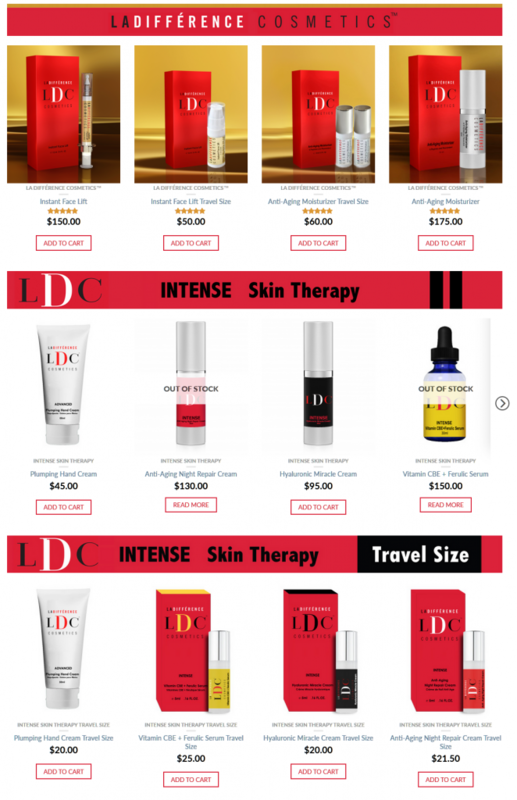 La Différence Cosmetics™ was founded with one goal: to provide consumers with the best professionally formulated anti-aging skin care products. La Difference Cosmetics™ luxury creams will diminish signs of aging while nourishing your skin with the most natural and effective ingredients available. Created in a scientifically advanced laboratory, our products use clinically proven ingredients that work on a cellular level to provide instant rejuvenation and hydration of the skin, while powerful tightening actives work to reduce visible fine lines and wrinkles. Look years younger with La Difference Cosmetics™ today!